They have a lovely soul in their hunky bodies. 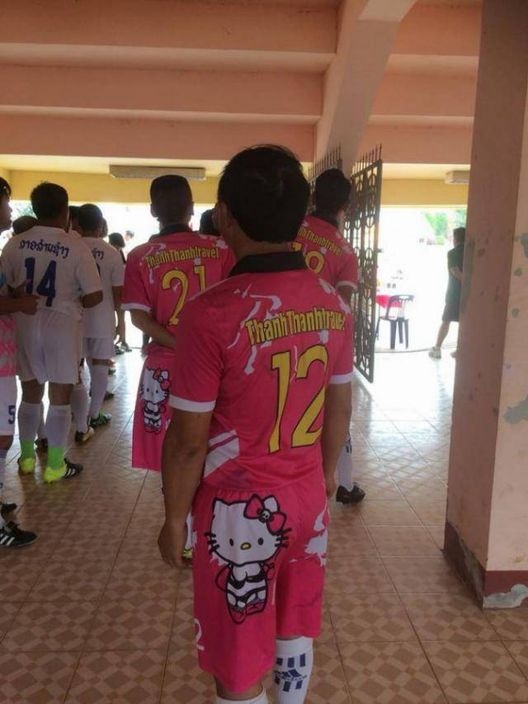 Each football team has their unique suits. 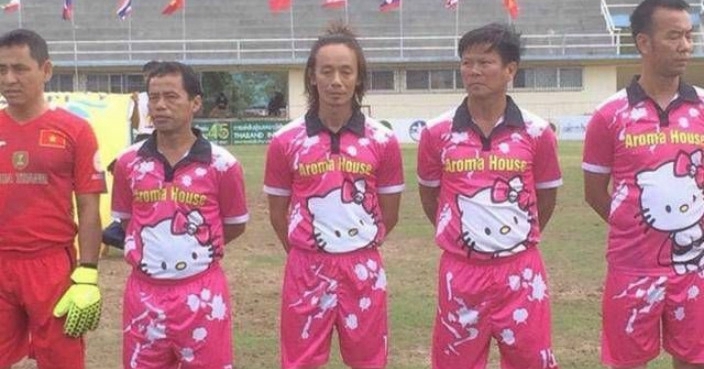 A football in Vietnam prints the pattern -Hello Kitty- on their suits which absolutely adds some special charm to them. 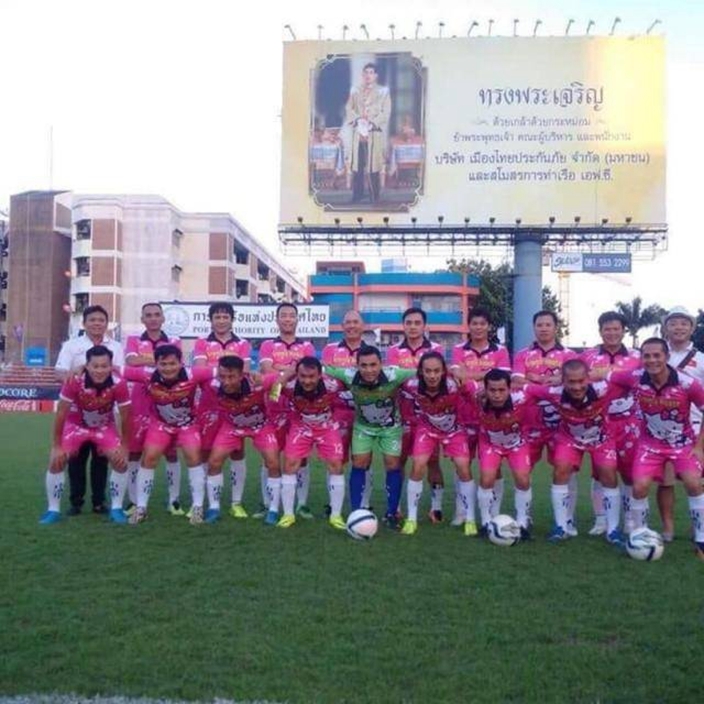 In the "International Football Festival for 45-year-old" held in Thailand for middle-aged football players, there seemed nothing unusual to be remembered. However, one of the teams from Vietnam had attracted many people's attention. 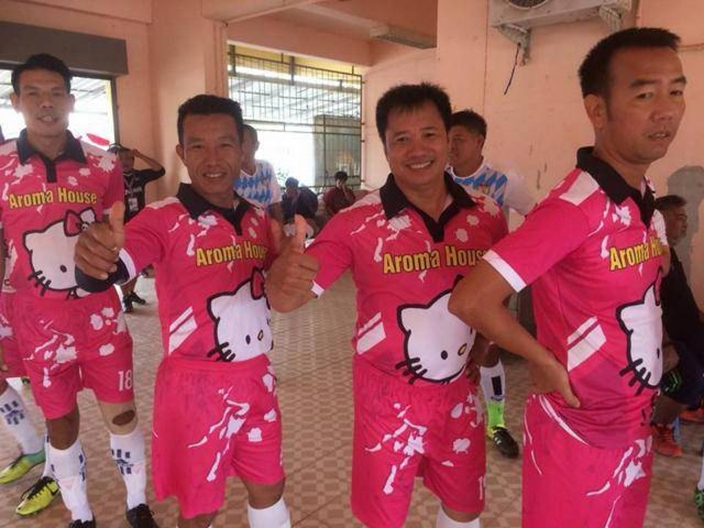 A group of middle-aged soccer players wears the pink jersey with Hello Kitty on it. The players' black faces are in sharp contrast to the cute color. 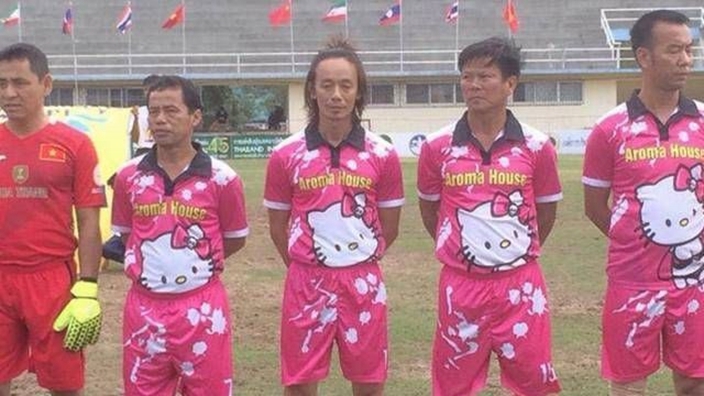 The team is known as Wana FC and they have creatively printed Hello Kitty on the suits for the festival. It seems that they are reluctant to wear these lovely suits. However, in the other photos, the players laughed happily and made a V sign. It is obviously that they are satisfied with these cute jerseys which help them become the focus of the football ground. Maybe they still keep young hearts.